BMW is the latest vehicle manufacturer to join in on a widespread airbag recall announced last month affecting 3.3 million Hondas, Toyotas, and Nissans. BMW announced this week that they will recall approximately 42,000 of its 2002-3 3 series models because a passenger side air bag defect could release shards of metal into the passenger compartment should a side frontal collision occur. The recall affects 325ixT and 325iT Sports Wagons, M3, 325Ci, and 330Ci convertibles and coupes, and 325xi, 330xi, 325i, and 330i sedans of the 2002 and 2003 model years. 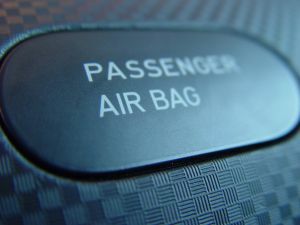 In the event of a crash where the passenger airbag is inflated, the device that causes inflation is at risk of rupturing, which could release metal fragments into the vehicle. If these shards make contact with passengers in the vehicle, it could lead to serious injuries, such as lacerations. While BMW owners should hear from the company regarding this issue this month, replacement components may not be available until July. As soon as the parts arrive, owners can bring their vehicles into their local dealership to receive free repairs. Although BMW has not reported any serious injuries or deaths linked to this defect, that does not mean that no accidents have happened, or won’t sometime in the future. An auto accident can happen in a matter of seconds. If a driver or passenger is injured in a collision, they may not immediately think to question the impact of the deployment of the airbag, but with recent developments, this should be a concern. While safety concerns leading to vehicle recalls are not uncommon in the automotive industry, within the last few years we have seen an increase in the number of defective products in cars, trucks and SUVs. When injuries result from defective products, car manufacturers and even auto retailers can be held liable for damages. If you have suffered a serious injury due to a vehicle air bag failure, you should immediately seek legal help from a personal injury lawyer who can assess your claim and determine if you are able to recover financial compensation for your injuries. Safety is a top priority when operating an automobile. Sadly, many drivers do not find out about dangerous defects in their vehicles until it is too late. The New York Personal Injury Attorneys at Whittel & Melton are experienced automobile accident lawyers who can help you obtain maximum compensation for your losses after an accident. If you or someone you love has been injured as a result of unsafe vehicle in Orange County or elsewhere in New York, we urge you to contact us today. The law places strict time limits on how long you have to file an injury claim, so do not delay. Contact us online or call 866-608-5529 for your free consultation.